America’s Songs III: Rock! 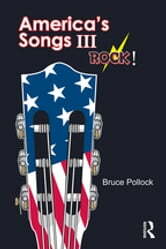 picks up in 1953 where America’s Songs II left off, describing the artistic and cultural impact of the rock ’n’ roll era on America’s songs and songwriters, recording artists and bands, music publishers and record labels, and the all-important consuming audience. The Introduction presents the background story, discussing the 1945-1952 period and focusing on the key songs from the genres of jump blues, rhythm ’n’ blues, country music, bluegrass, and folk that combined to form rock ‘n’ roll. From there, the author selects a handful of songs from each subsequent year, up through 2015, listed chronologically and organized by decade. As with its two preceding companions, America’s Songs III highlights the most important songs of each year with separate entries. More than 300 songs are analyzed in terms of importance—both musically and historically—and weighted by how they defined an era, an artist, a genre, or an underground movement. 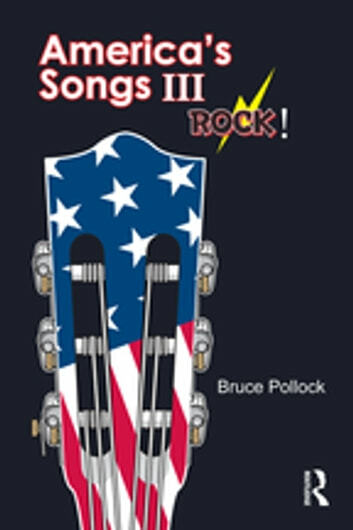 Written by known rock historian and former ASCAP award winner Bruce Pollock, America’s Songs III: Rock! relays the stories behind America’s musical history. Livros relacionados a America's Songs III: Rock!